An inspirational lady's journey to achieve her goal in a Solo Challenge which takes many twists and turns .... enjoy learning about it in her own words!! 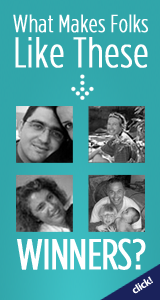 "Hi my name is Ashley and I am 34 years old, originally from Guatemala, but moved to New Zealand almost 6 years ago. I have always been around water, but only until a couple of years ago I used to be afraid of sailing. I was more into speed boats and scuba diving. Whilst my travels in Australia, I read a book called 'Dove' by Robin Lee Graham, and this was my inspiration to want to learn how to sail and face my fears. I have to give special thanks to a very dear friend of mine, Andres. As if it had not been for him, I would never have read the book and been on the journey I am on now. After Australia I went to work in Fiji on a boat. When my Fijian experience came to an end I went back to Australia and was offered a job in the Whitsunday’s on a sail boat as a Chef/Dive Instructor. After a couple of weeks I realized not knowing anything about sailing, that I needed further experience and training before taking a job on a sail boat. This is when I decided to move to Auckland to learn how to sail. What better place to do it, than in the City of Sail’s!?! My journey pursuing sailing and ultimately the solo challenge in New Zealand began in late 2011. I did a 10-day Competent Crew course, sailing from Auckland to Bluff on-board Tiama, a 50ft expedition steel yacht run by Henk Haazen. Upon completion of course, I inquired on how I could keep learning (but not spending a lot of money); they suggested I try to get on boats for Rum racing. This is where the addiction began and my ambition to enter the solo challenge. As soon as I got back to Auckland, I joined a crew site and put my name out there as much as possible. I did one Friday Rum Race, one Wednesday night series and then my 3rd race was the 2011 Coastal Classic 120 NM race from Auckland to Russell, Bay of Islands. By now, I was hooked and I continued to put myself out there, so much so that the summer's 2011- 2012 and 2012-2013, I was racing almost every day. If not racing then I was out cruising. I had the need and desire to be on the water constantly. I also wanted to continue my education in order to enter the solo challenge, so I got my STCW (Sea Survival, Fire Fighting and First Aid) and my MROC (Maritime Restricted Operator Certificate - MF/HF (SSB) radio license) at Mahurangi Tech. I then tried to do home school for my Boatmasters course but I did not have the discipline to teach myself. Recently, I finally completed the course (with an A-) in a classroom setting with Boating Education. From here, I would like to continue my education by doing the Coastal Skipper and eventually gain my Ocean Yachtmasters. Meanwhile, I am taking part in the B&G online sailing academy. 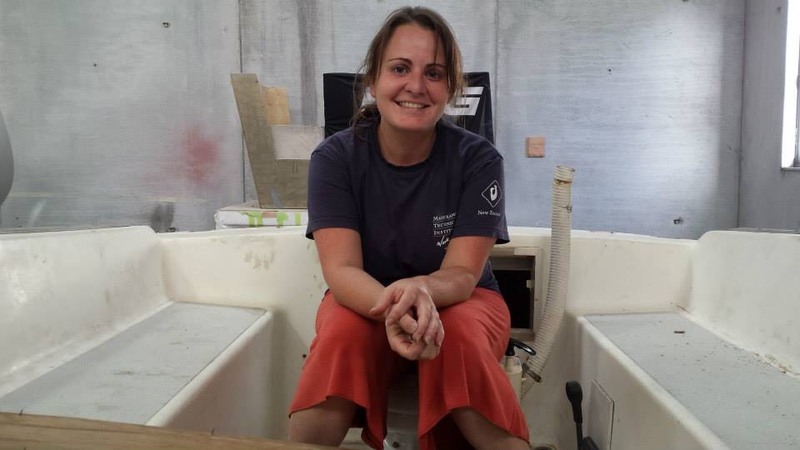 I am also a proud member of the Royal New Zealand Yacht Squadron and would like to get more actively involved, but at the moment the building of my boat takes priority above all else, if I want to reach my goals. 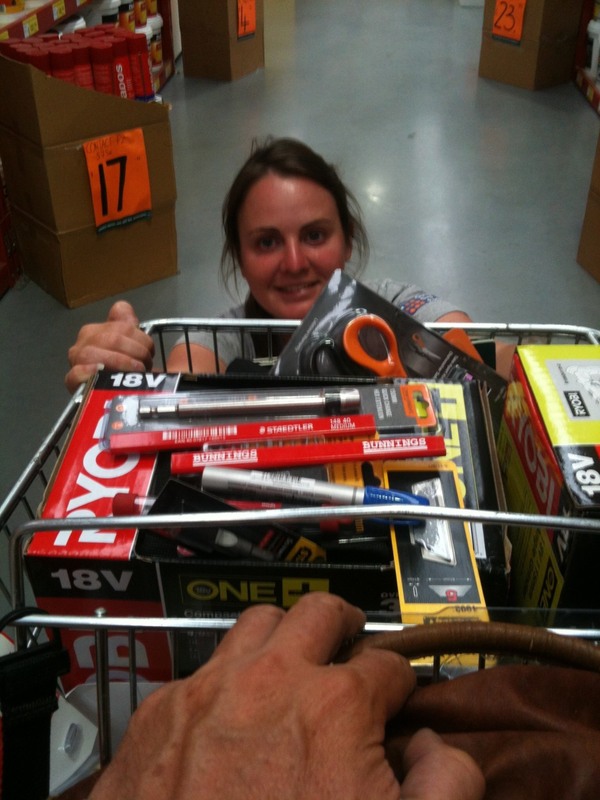 To continue to gain experience in sailing for the solo challenge, I completed a 3-man delivery from Tahiti to Auckland in 2012; I did the Auckland to Noumea race in 2012 as well as the Auckland to 3 Kings and back race in 2013, along with most harbor racing, Commodores’ Cup with the RNZYS and Gold cup with RAYC and other various Regatta’s. In late 2014 I had the opportunity to do a 5 man delivery on a open 70, from Sydney to Opua, New Zealand. This was a trip of storms, high winds and swells! At the end of the trip everyone was questioning me if I still wanted to cross the Tasman solo and my answer was very much a yes! Not that I don't have fear, but I still want to conquer that challenge. Not only was I trying to get myself involved with the sailing side, but I also wanted to learn about boats as a whole. I had the opportunity to work as a sail maker for a couple of months before the Noumea Race, and basically any time someone is fixing something on a boat I try to help (or at least observe) so I can learn. From then on I kept pushing to get into the sail making industry and finally landed a job with North Sails. Currently I am doing contract work for NZ Sails, as I need to concentrate on finishing my boat and with a full time job I will have no chance to complete it with enough time to work out any kinks and fully prepare myself to safely conquer my future solo challenge. 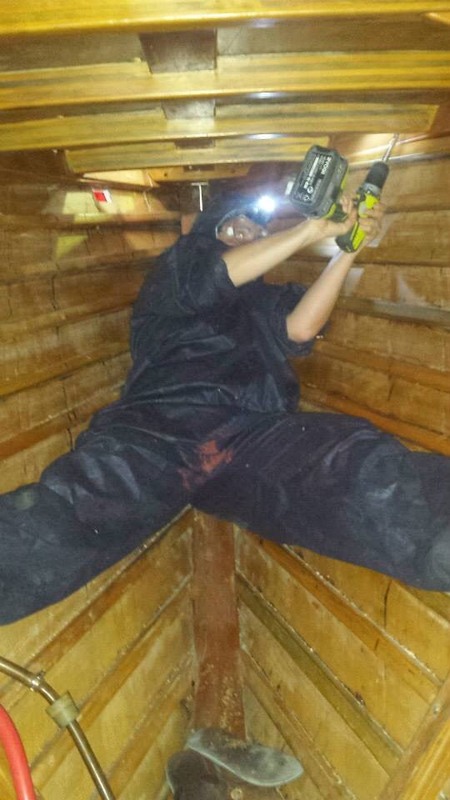 I also dive and clean the bottoms of the boats I race on to contribute to the team. Now I even change anodes and have even changed a prop on a drop down outboard for a 52ft racer keeler, whilst diving. It was a successful mission. Every day I learned something new and felt very proud of myself all equipping me for the solo challenge. In 2013 the time came to buy my own boat, Strider, a 28ft double diagonal Kauri Boat, a one off 1972 design by Sandy Jones. Strider has a good history and has done many miles: Coastal and Offshore. 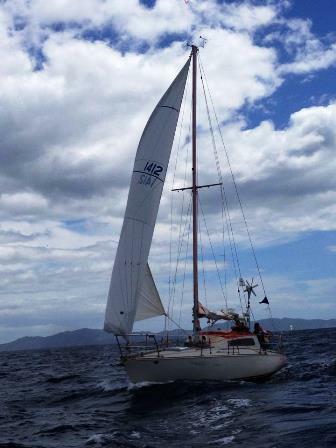 When first built she got second place on handicap for the Auckland to Noumea race. 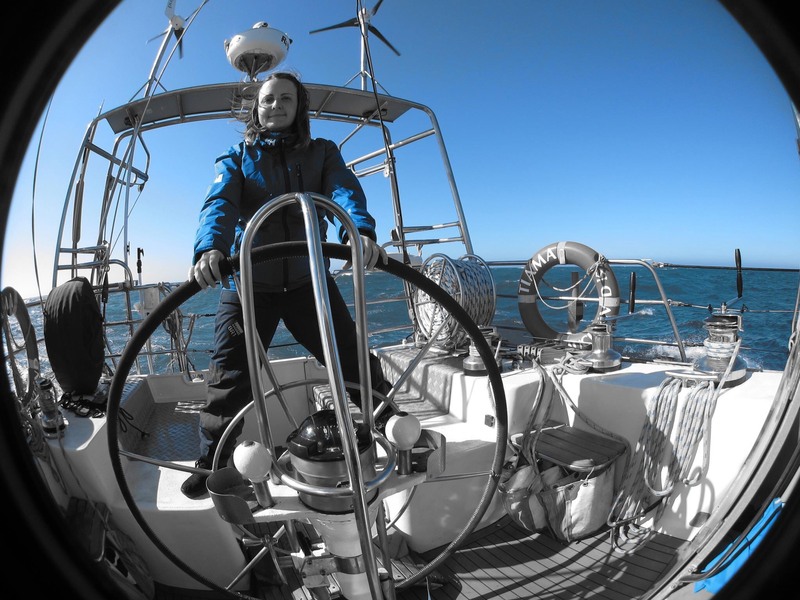 She also completed the Solo Trans-Tasman race in 11 days and has most recently circumnavigated New Zealand. I figured throwing myself in the deep end would be the only way that I could truly learn. Trying to get Strider ready for the 2013 Coastal Classic race really proved this theory to me. Although Strider had ventured offshore, she had been stripped of most her gear, causing me to start from scratch. I didn't even have a depth sounder. One does not realize as a crew member how much is really involved with racing (as well as cruising), from getting the boat ready, to being responsible for the safety of the crew and the boat itself. It is a completely different world and I enjoy the challenge. Strider was the only all-female-crewed boat to enter the 2013 Coastal Classic race; Me - Ashley (from Guatemala), Domenica (from Italy), Sash (from South Africa) and Cathy (from New Zealand). The race was said to be the hardest Coastal Classic in 5+ years. Although we did not finish within the time limit we did complete the race proudly. I have to admit I was thrown into the deep end when first buying Strider, to then immediately try and get her ready for the 120 NM race, proved to be quite stressful. Although I struggled a lot, it was satisfying once she returned safely to her home berth having completed my first challenge on 'her'. At the end of 2013 year, I had an accident with Strider and the insurance company wrote her off. I purchased my recent boat at the begging of 2014, roughly of the same age, but with better racing capabilities. 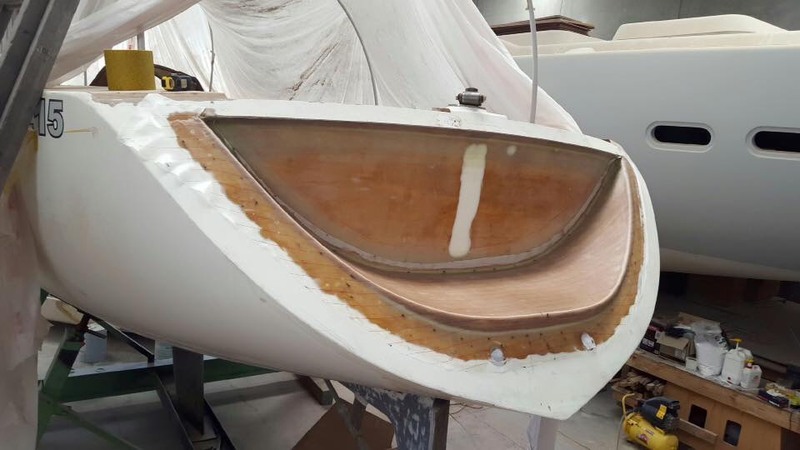 The new boat is a Whiting design similar to the Whiting 29, but beamier and originally created for half ton racing. Her name is Stinger and as Strider she has a intriguing history, which I would like to contribute to in the future. Stinger is a 1974 Whiting Half Tonner. The design was named Reactor 29 and Stinger was the 1st of 4 or 5 to be built. Designed by Paul Whiting and built by John Rea. 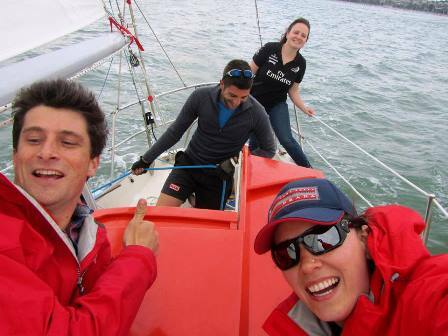 Stinger won the Rothman’s Auckland to Gisborne race with a time of 2days-3hours-39minutes-55seconds. This was an absolute triumph for Paul Whiting as he was also on board for the race alongside owner John Bonica. In 1979 the boat was bought by Stewart McMillan who has owned it for 35 years, happily racing and cruising around the Gulf. And now I am the proud owner of Stinger! My main purpose of buying a boat is to train myself and to get the boat to Category 1 (safety regulations for NZ) to do the 2018 Solo Challenge. Also to be the first Guatemalan woman to achieve such a goal. Currently only 4 women having completed the race and I being the last entry for 2018 race. I will be the 5th women to ever complete the race. 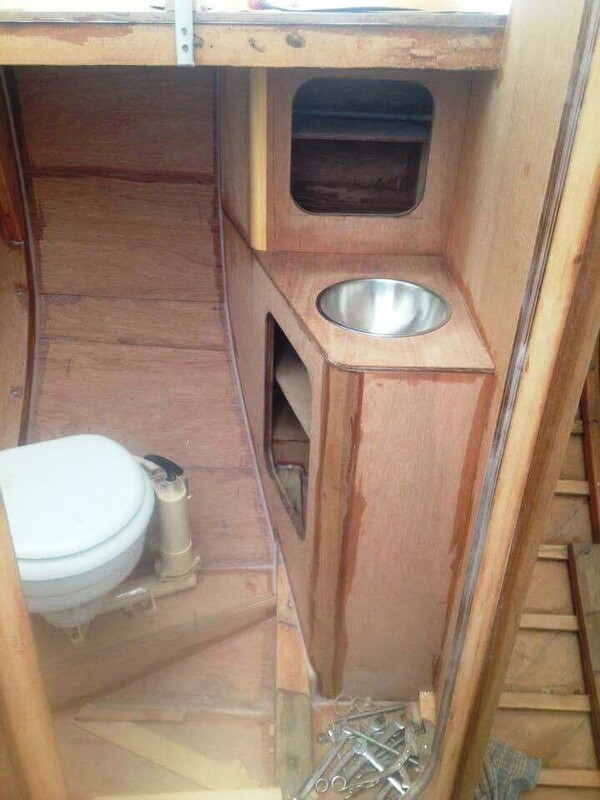 For the last 3 years I have been working hard to refit my boat. 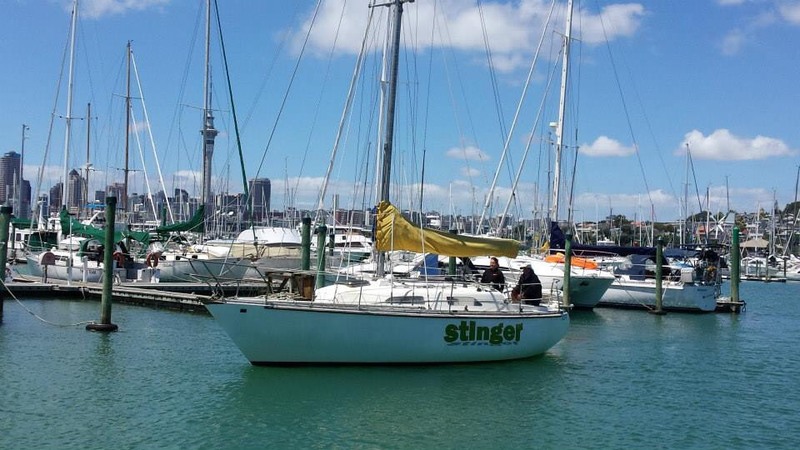 I bought Stinger at the end of 2014 and pulled her out of the water 2 weeks later. I was originally just pulling her out of the water to replace her decks and gas locker, but now she is going through a complete refit. The more closely I looked at her, the more I found wrong/damaged, etc ... as I do not have a lot of money, I have been trying to do as much work as I can myself. 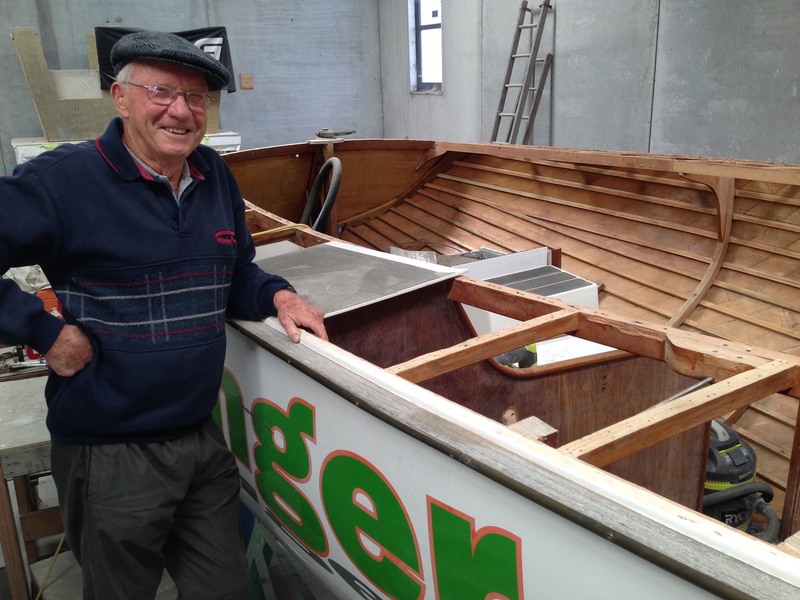 Then I have also hired a boat builder, Gary Pattern, to do the important structural aspects and to guide me and give me advise on doing the rest. 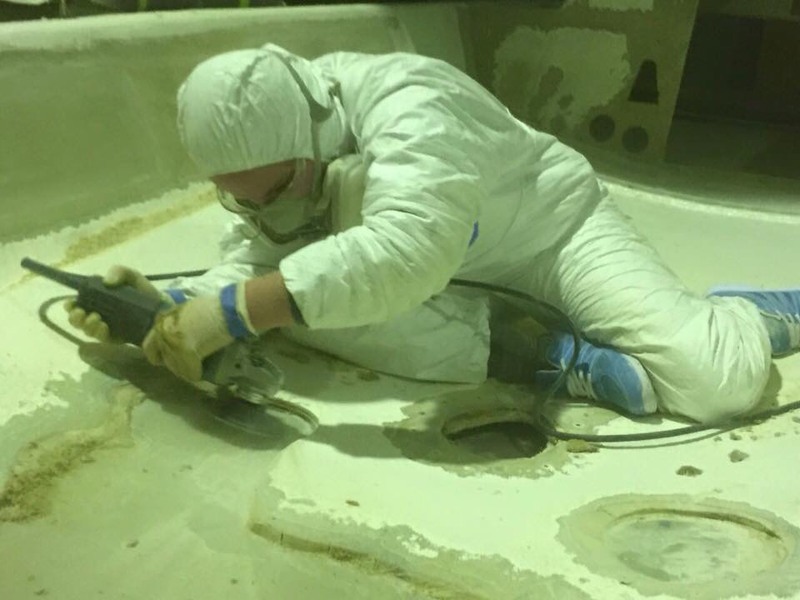 This has been a great experience to be involved in and I am very excited to hone the skills in being able to maintain and repair my own boat with confidence. When the boat is complete, it will be an entirely new boat and unrecognisable. 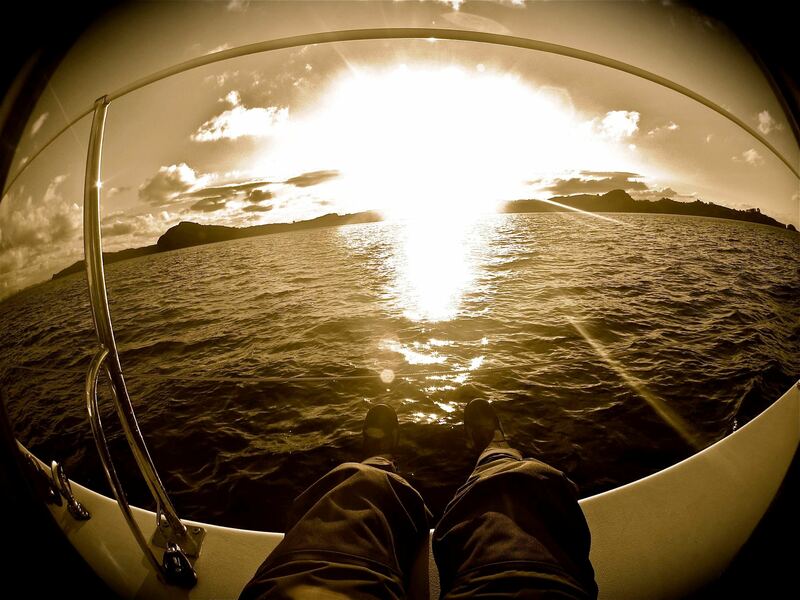 Over the years I have had many struggles, not only with the boat, but with life in general. I have to admit that life has gotten in the way many times causing no progress to be made on the boat. 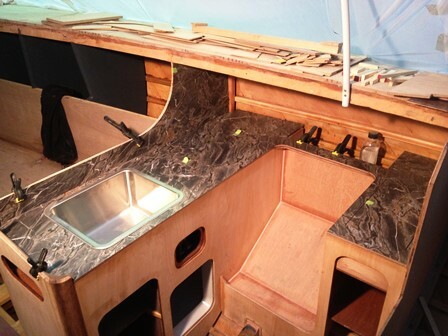 There has been more progress on the boat, in the past couple of months, than in the last 3 years! Over the past few weeks, I have been trying to get sponsors to help me with gear. 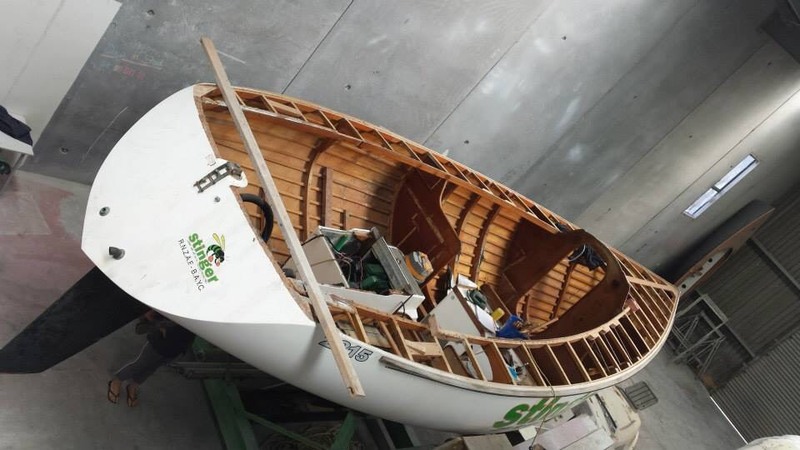 I think I am able to manage to finish building the boat with my savings, but I won't have enough to kit it out to the right safety standards for solo challenge Ocean Sailing. I had the great pleasure to meet Kjell Anderson, who is the owner of Sailutions. He has been very proactive with the idea of helping me with my deck gear and rigging, which I am very excited and grateful for his generosity. Also B&G have been supportive of my project from the beginning, unfortunately I am still not at the stage where I get to test and try their gear! 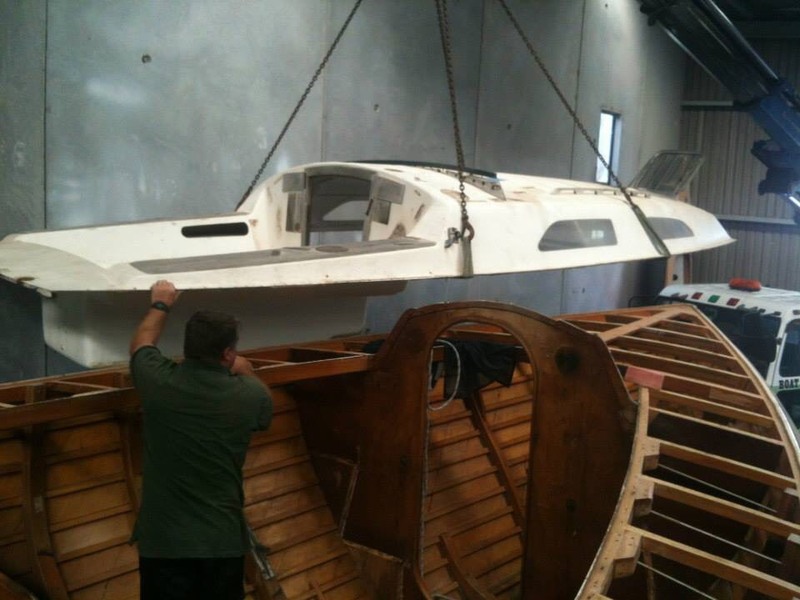 Or any gear, I really need to get her finished and in the water sailing!" Then there is Grant Macduff, the owner of Chains Ropes & Anchors. My to go to guy. He has been by my side since I first purchased Strider, and not only has he been generous with gear, but also with constant advice. I am very happy to say that he too, will be at the start line with me for the 2018 Tasman Yacht Solo Challenge. We both are also trying to bring back small yacht offshore racing, so hopefully this will be the first of many races we compete in against each other! Once I have the boat in the water, I will be training to handle the boat on my own. As I am still a beginner this is a big challenge and will take a lot of patience and determination to get to the stage where I feel comfortable and safe to handle her on my own. Obviously it will be a step by step process to reach the confidence and skill needed. I will have to start by sailing with a fully crewed boat until I feel comfortable in handling her all by myself. Again here, I have another great friend named Bob Still, who has agreed to help me train, to which I will forever be grateful for as he is an excellent sailor and demanded by many! 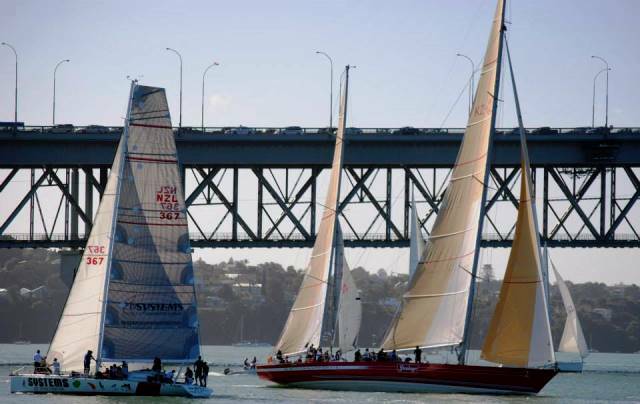 I would like to try and do the Woman’s Wednesday night series, Regatta’s, the Short Handed series to eventually the Single Handed series and any other race that comes about in Auckland and surrounding area before my solo challenge. 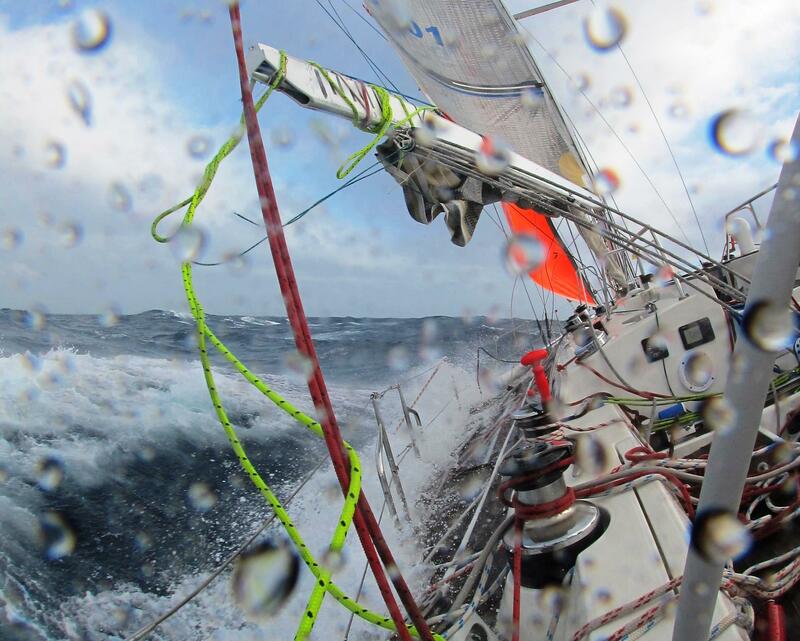 I would also like to endure all the long distance and offshore races with crew or on my own. Let's also not forget cruising, fishing and Scuba diving! Of course the order to which all of these races will happen all depends on the completion of the boat and my time frame to train for the 2018 Solo Challenge. If unable to do much racing before hand, I will definitely do it all upon return! Another big reason to buying the boat is to encourage more people to do the same, especially women. Somehow, I would like to create a program to encourage woman to be more confident to want to sail and maybe even own their own boats. Rather it is for racing or just cruising. Just because your partner knows how to sail, you shouldn’t just stand back and watch. What if something happens to your partner and you are out in the middle of a storm? It’s important that everyone out sailing, feels’ comfortable and has basic knowledge on how to handle a boat in case of an emergency. At least enough to get you to safety or until safety can get to you. This idea is still in a thought process in how to achieve, so if any one has any ideas please share as I am all ears! I have been thinking a lot about my boat, projects, New Zealand and mostly about myself lately. Mental health has taken a big part of my life in more ways than one, and I have decided that I would like to shed some light on this issue and bring more awareness to the world about Mental Health. Over the past couple of weeks, I have been doing research of programs from around the world, that try to convey the same message and to reach out to those that need help and to let them know they are not alone. I have also been trying to work on a way that I can combine my sailing goals and raising awareness with speaking and working with the the Mental Health Organization. This has been a hard task to solve and the only way at the moment, that I can think of, is by sharing my story and providing various means on how to get help. A little bit more in the future, I would also like to raise money and some how involve my boat in a way to help those in need. But the obvious is first, I must finish building my boat before I can fully put my hand up for hands on help. In the near future, I will be attaching a link to my Facebook page, for those who choose to want to read and learn about the “real” Ashley; the struggles I deal with on a daily basis, and not just what I choose to portray to the world. Hopefully, this will be a way to reach out to many, but I will still be happy if it helps at least just one person! Just remember one thing, you are never ever absolutely alone, even though it feels that way at times, there will always be at least one person with open arms and happy to listen and hopefully be able to help you find the right help that you need. 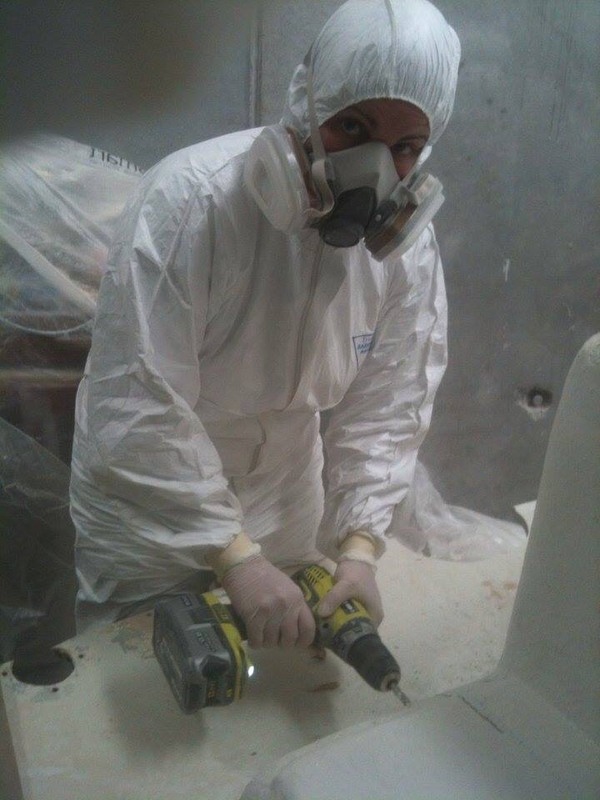 “I am trying to find all the help I can get rather it be someone there to motivate and help with a little sanding or it be donations and/or sponsors. People who simply want to learn just like me. I also need to form a crew or 2, so that as soon as she is back in the water we can start practicing and training for future races. 2. The second is that I have been diagnosed with Fibromyalgia. Living with this condition makes every day tasks a lot harder than for the average person. Trying to achieve the goals I have set out for myself, are that much harder as well. Everyday I want to give up, not just because it is so overwhelming, but the pain that I suffer trying to complete each task is immense. I want to bring more awareness to this disease and create a fund raising campaign. 3. The third drive holds dear to my heart, I want to bring awareness to Mental Health. This is something that affects many people in the world, and society as a whole does not know how to interact in these situations. Mental Illness has been predominate in my life, not only affecting me personally, but also friends and family members. Sailing has made a big difference in my life and that is why I am very keen to share my love of sailing with others, especially with those who struggle with Mental Illness. I know that in New Zealand, not enough is being done to address the issue, especially as I myself have been through the system and had it fail on me. I want to try and make a difference for others, so they do not go through the same experience I have been through. New Zealand made me a sailor and being out on the water just does something to you that makes a huge difference in your world, well at least in mine it did. And now, I want to help others too, firstly by starting a campaign for Mental Health Awareness here in New Zealand and sharing that better feeling of being out on the water! 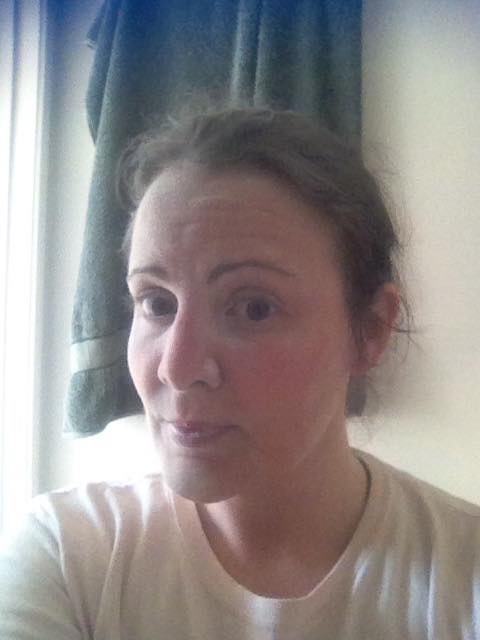 As with the Fibromyalgia, I would also like to do a second fundraiser to go towards Mental Health. It has now been around 5 years since I have been working hard towards my goals, which has now evolved into several other goals. Some have come & past, some I am right in the middle of and there are several more to come over the next few years! I hope I can reach out to like minded people, who also have a passion and want to make a difference, and would like to join me in making that difference. On top of the usual local racing, over the next 4 years there are a few major races of which I would like to take part in. Some of these races I have already taken part in as crew, one as the boat owner & skipper and the rest will be a completely new challenge and that more satisfying, as they will be done on a boat that I will know inside and out, as I have completely rebuilt it with a few helping hands. Some of my racing will be solo or shorthanded to promote shorthanded sailing and the solo challeng, some of the racing will be all female crew to promote women racing, and then there will be the mix to just promote sailing as a way to feel good and be a team player! These events are some of the hardest yacht races in the Southern Hemisphere, and everyone thinks I am crazy to even think about trying to achieve them, as I am still very much a novice! Some laugh, some encourage, but in the end it is for me and to be an inspiration to others! *Goal is to complete all of these races, but some could be discarded due to unforeseen circumstances. For example, major damage to boat, health, funds, etc. ...and any other new races that could pop up! *Obviously BIG races will take priorities to the others, so not all may be completed due to conflicting dates. Don't just be support, be part of a campaign trying to make a difference! I am not the ordinary Kiwi Sailor, in fact I am originally from Guatemala. "You're not in Guatemala now, Dr. Ropata!" (sorry Kiwi Iconic phrase that I just had to throw in!) 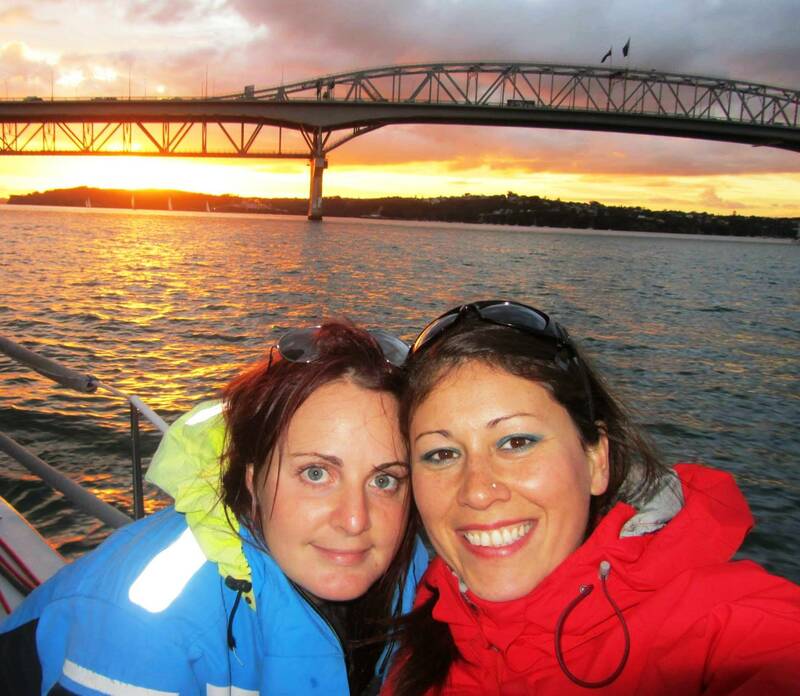 I moved to New Zealand in 2011 and fell in love with New Zealand, but most of all with the sailing! Even though I am not a born Kiwi, I am a Kiwi taught sailor, as I had never sailed before moving to New Zealand. Sailing has made a vast difference in my life and I would like to share my experience with others, along side setting out on the solo challenge and goals for myself. 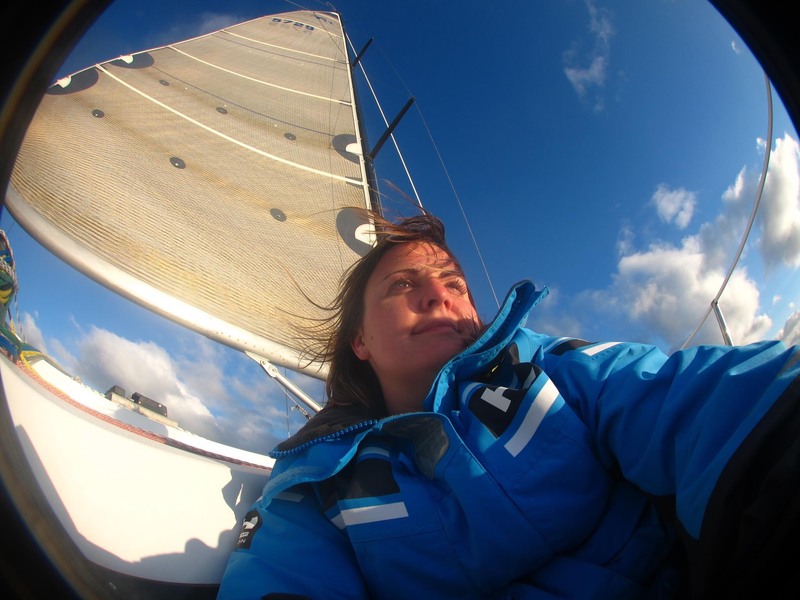 Solo sailing, offshore sailing, women sailing, the average Joe sailing, sailing to overcome personal difficulties, sailing to challenge yourself and simply sailing to just feel good! These scenarios all capture the attention and inspire audiences from around the world, and give brands the opportunity to a direct link to the people they want and need to target. Becoming part of "The Solo Challenge" sailing campaign, your brand will have a distinct opportunity to be a part of a real story to connect with real people! Being a part of "The Solo Challenge" sailing campaign, your brand will have a distinct opportunity to be part of a real persons' struggles and a never give up attitude, that is becoming a successful story and hopefully an inspiration to others! Above all, the following are 6 key words, which will be incorporated with every person involved. Obviously, the exact meaning to each of these words will differ from person to person, company to company and organisation to organisation. Respect - People want their values, culture, ideas, and time to be respected and considered in the organisation's activities. Brand exposure and media coverage across New Zealand & Offshore, with naming and branding rights to the yacht and "The Solo Challenge" campaign. Brand exposure and media coverage across New Zealand & Offshore with interviews, articles in News Papers & Magazines, Online blogs, etc. 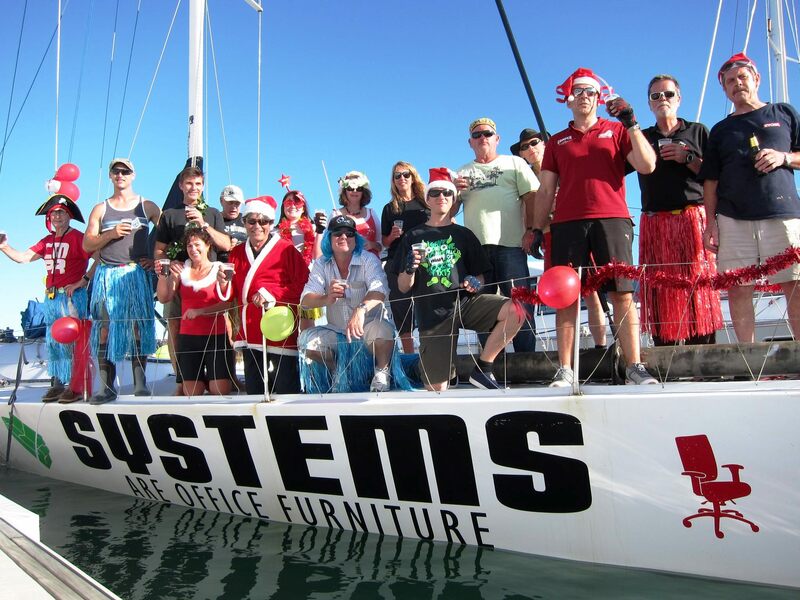 Distinct and entertaining charters for company team building & outings, racing, and corporate entertainment. Employee inspiration through motivational speaking. Through my own media pages, I will constantly be broadcasting your brand and how it works well for me in action. Association with real people, living real lives and trying to be an inspiration to others! Happy to listen and talk about any other ways that you as a Sponsor would like to benefit from being part of "The Solo Challenge" campaign. Take on a challenge - Getting involved in something new can be a real challenge. Volunteering can help you achieve personal goals, develop new skills and practice your talents. Volunteering is a two way process - As either a volunteer or an organisation, you will have your own motivations and reasons for getting involved and both needs need to be met. Meet new people - Getting involved as a volunteer will allow you to meet lots of different kinds of people and make new friends. Association with real people, living real lives and trying to be an inspiration to others! Reaching out to your community – Volunteering can help build stronger communities, get involved in your community and feel part of something outside your family or circle of friends. Sense of Wellbeing – Research demonstrates that volunteering can lead to better health. 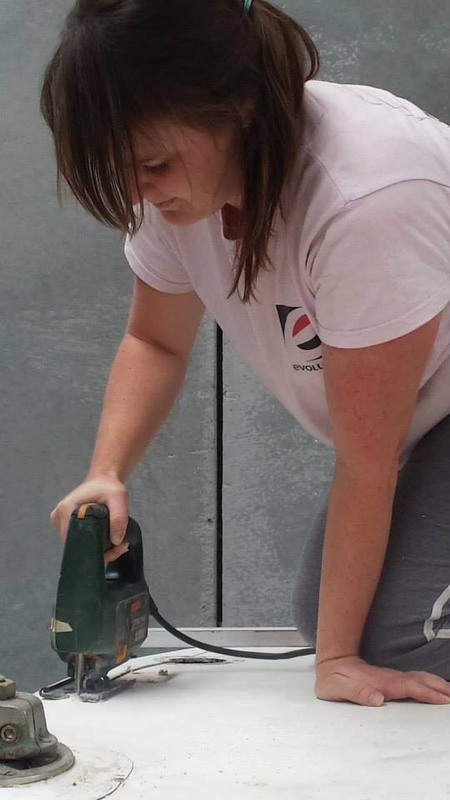 Personal Development - If you are thinking about career development, about getting a job or returning to work, the experience you gain as a volunteer can be useful. Use of the boat for special related events to the causes I am supporting. Motivational speaking by sharing my personal experiences. Stinger will have a complete transformation and there are also many races to come! I want to thank all of you who have helped me along the way and especially those who continue to do so! I have very much appreciation for you ALL!!! Hopefully along the way, Stinger and I can encourage more women (and guys too...anyone and everyone of all ages are welcome!) to get out there and to face the Oceans’ challenges and to become as enthusiastic as I am of owning my very own boat to do these challenges in! 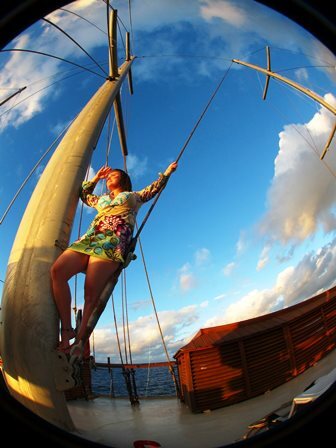 Sailing changed my life and it can change yours too!!!"